First, the "Financial Wellness" digital platform, in partnership with Prudential, will go live on Tuesday, Jan. 22. This platform, at http://www.prudential.com/webster, provides free resources available to all faculty, staff and students and your families. It combines digital learning and interactive tools with personalized content for action at your pace along with a library of topic-specific videos, educational articles and the opportunity to attend monthly webinars on relevant financial topics. You will be able to access the site through your smartphone, tablet or laptop. You will begin to see communication from Prudential in your Webster email to link you to the Financial Wellness platform. You are encouraged to explore what the site has to offer and register if you want to retain your personal custom content. Registration does not require you to share any sensitive information. Also, be aware that Webster will not receive any individual information from the site on your specific participation. Click this link to read more about this free service offered to our Webster community by Prudential. We currently engage Prudential for our life and disability coverage. These financial wellness tools are a benefit at no additional cost to Webster or to you. 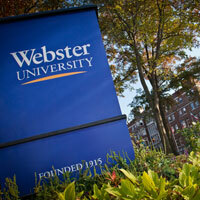 The second opportunity is Webster's Pathways Financial Wellness Series starting Feb. 6. This series of five courses will be classroom/lecture type presentations on topics like savings & budgeting, investment principles, retirement strategies and more. You can attend in person in the UC Presentation Room or via Web-Ex each Wednesday from Noon- 1 p.m. between Feb. 6 and March 6. This event requires your registration online through the following link: Webster's Prudential Pathway's Financial Wellness Series. This is a new offering provided free for you and anyone in your family.